In the Middle East camels are everywhere. We found this guy in Petra. What a nose! We love taking pictures of animals up close. The different perspectives can be funny, artistic, and eye opening. Macro shots of animals offer a different way of looking at life that the human eye often can’t perceive. We shot this guy in Petra on our travel club’s group trip to Egypt and Jordan. We love how the nose is heart shaped and the whiskers really stick out in this photograph. 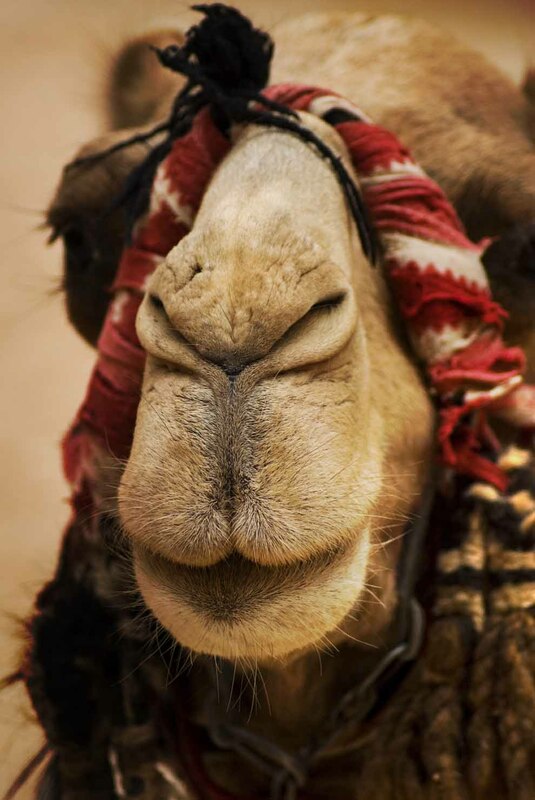 You don’t often think of camels as having whiskers at all! He he he, what a lovely crisp photo!